Thievery. It’s far easier for a pickpocket to work in crowds, or for thieves or vandals to get up to no good when there are a lot of people around. Have several sets of eyes of Korner Security guards watching your crowds keeps all attendees safer. Rowdy behavior. Summertime is supposed to be fun, but it doesn’t mean that any behavior is permitted. Security guards allow revelers to enjoy themselves, but within reason, stopping the group mentality before it gets out of hand. Fights. Inevitably, where heat and alcohol and crowds mix together, fights are bound to break out. Security guards can prevent many fights, and stop others that are already in progress. The mere presence of a guard can be enough to stop someone from throwing a punch. Security guards are on the lookout for the characters who are pushing the limits of proper behavior, from taking off clothes when they should be on, to harassing another event-goer. And guards have the right to eject people from the premises to keep your event from being ruined. Unfortunately, there are far worse crimes happening in crowded public settings beyond intoxicated attendees and a fistfight. Security guards are your insurance against serious threats to a person or a group. Assault. Many a crime takes place in out-of-the-way areas that are commonly ignored, or in corners and darkened areas under the cover of night and noise. Security guards monitor the most public of places, but they also patrol the less populated areas to ensure that nothing untoward is happening on your premises or during your event that could harm one of your event-goers, or compromise your reputation later. Parking lots, stairwells, elevators, alleyways, and behind outbuildings are all part of this equation. Attacks. In our modern culture, it is sadly no surprise to hear about horrific, fatal attacks on large gatherings of people. With security guards patrolling the premises and other guards monitoring security cameras, threats can be thwarted before they are set in motion, saving lives. Should your security guards be armed or unarmed? Should they wear uniforms or be undercover? These are questions that you need to consider so you can determine what is most beneficial for your event. 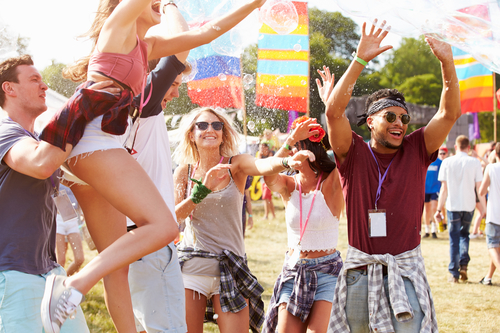 Figure out the best formula with the help of Korner Security, and keep your visitors, guests, attendees, and patrons safe so they can relax during the hazy days of summer. Contact an expert at Korner Security to review your security needs. We will provide the best solutions for your needs.